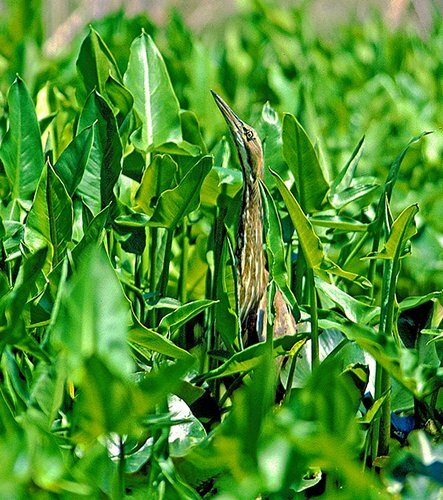 The Marshlands are distinguished by a rich variety of bird life. The varied habitats support many resident and migrating species. Of the 246 species reported, more than 100 have been observed nesting here. 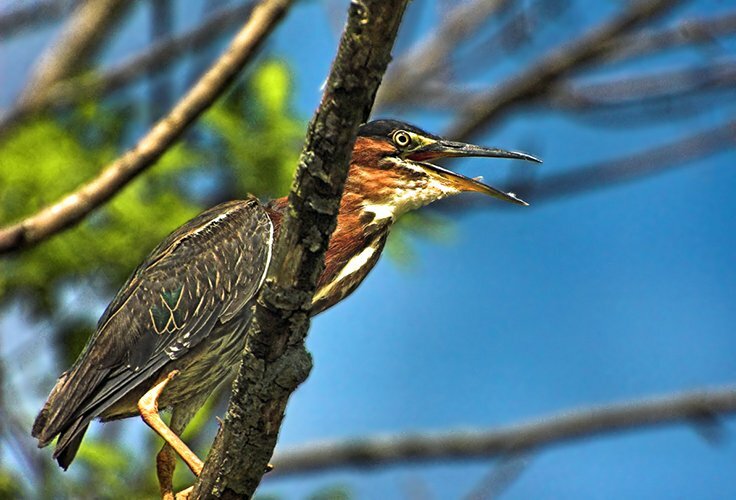 Waterways and ponds of the Marshlands support fish-eating birds such as mergansers, kingfishers, Osprey, egrets, herons, and even Bald Eagles. In winter, these areas host many wintering ducks, including Gadwalls, Ruddy Ducks, Ring-necked Ducks, Green-winged Teals, wigeons, Northern Shovelers, and Northern Pintails. In summer, the marshes provide nesting habitat for Marsh Wrens, Least Bitterns, and Red-winged Blackbirds. Wood Ducks, Mallards, and Green Herons nest in nearby wet woodlands. Yellow Warblers, Warbling Vireos, and Blue-gray Gnatcatchers are common in trees near water. In trees near Sturgeon Pond, there is a small Great Blue Heron rookery. 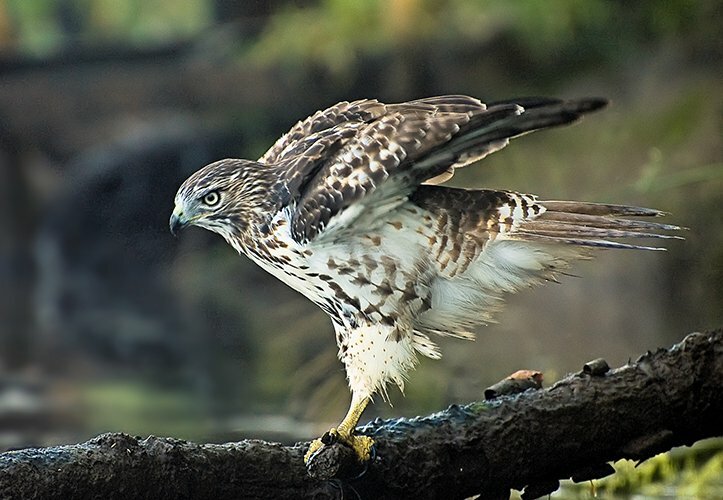 The wet woodlands also support woodpeckers and flycatchers, as well as Cooper’s, Sharp-shinned and Red-tailed Hawks. Baltimore Orioles commonly build nests near water in Cottonwoods and Sycamores, using stem fibers of milkweeds and Indian Hemp. During migration, Merlins may sometimes be seen here. Upland forests host many other birds, especially during spring and fall migrations. Ruby-crowned Kinglets, Yellow-rumped Warblers, and other migrants are common seasonally. Nesting Brown Thrashers, Song Sparrows, Carolina Chickadees, Carolina Wrens, and Titmice are frequent in second growth forests. Great-horned Owls may sometimes be located in trees when crows mob them. For a list of the birds that may be found at the Abbott Marshlands: Abbott Marshlands Bird List.